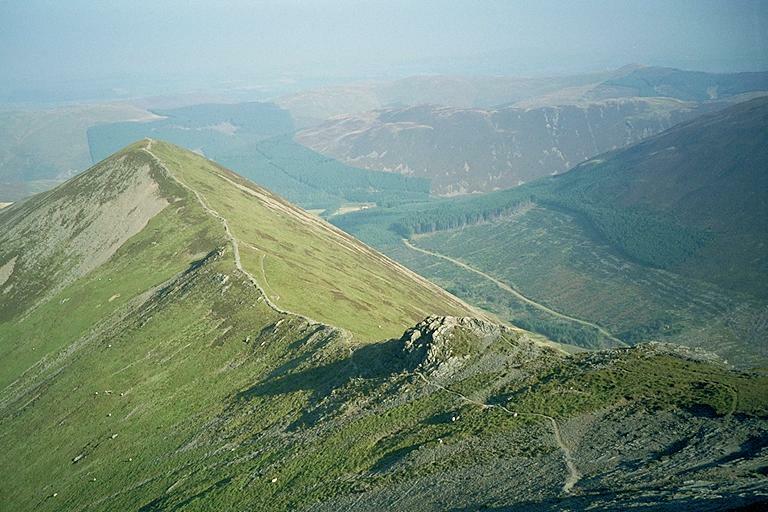 The ridge from Ladyside Pike provides a well-used alternative ascent to Hopegill Head. The path runs mostly alongside the ridgetop wall. Smaller version of this picture.